Between the two sets of sprites below, which would you rather see Harry and friends in? "It's not really goodbye, after all." Wow. I've had a few nice young gentlemen step up to the plate, and so far, I'm liking what I'm seeing! Check out these awesome graphics bigpotato and DarkWolf have put together! We're still working hard to bring our Hogwarts to life! It'll only come along that much faster if more people join as Graphic Artists, Level Designers, Game Designers, or Beta Testers! We need Graphics and Level Design more than anything, really. Hey guys! I'm not dead yet! I'm just waiting on some tilesets from some new friends of mine, and planning out the maps for Hogwarts. If anybody would care to step up and lend a hand, we'd really appreciate that! I could use some help with the level design and with tilesets and backgrounds. I got characters and items, but I'm not very confident in my skills with tiles and backgrounds. Well, so far, nobody seems to want the GBC style characters in the game. Shoulda guessed. Thus, here we have a slightly tweaked Harry Potter, plus a revamped Ron Weasley and Hermione Granger to go with him. Whaddya think? Are we gonna keep going with this? Any way I can improve this style? Let me know! So, I decided to try recoloring Harry's sprites here, and I've placed them alongside the original sprites. I'd like you to tell me which style you'd prefer: Game Boy Color or Game Boy Advance. Whichever style of sprite you'd rather see in the final product, pick your answer from the poll above! No, I'm not giving up on Super Mario RPG 2. But I am gonna be working on this for now. I had the idea, and I wanna stick with it for awhile. I'm sure that all of you (unless you've been living under a rock the past 17 years) have heard of the tales of a certain young boy and his seven years spent attending a boarding school for wizards and witches. Some of our number have had the chance to experience Harry's adventures firsthand through the myriad of video games released by EA Games for various consoles. Each has inevitably been forced to leave part of the story behind. 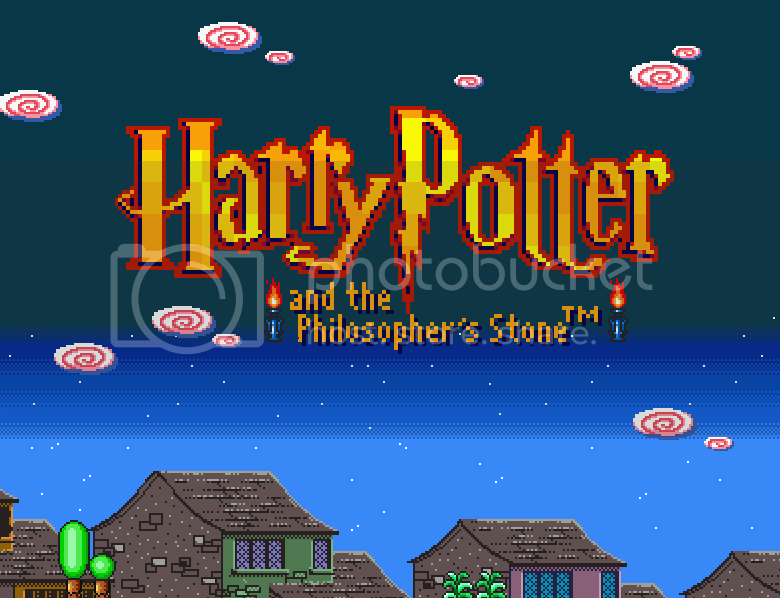 But what if one developer rose to bring the full story of Harry Potter to life, to give players the chance to see as much of Hogwarts School of Witchcraft and Wizardry as possible, and to play a Harry Potter side-scrolling platform action puzzle game? We'd have this project, that's what. 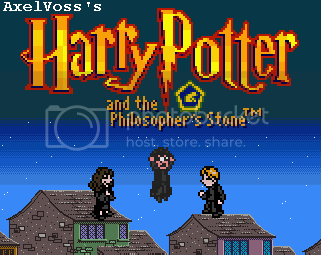 Welcome to my personal SMBX reproduction of Harry Potter and the Philosopher's Stone! 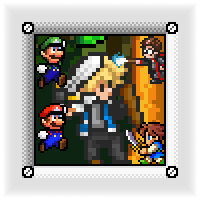 The plan is to create a side-scrolling action-adventure-puzzle game. That means fights, puzzles, and secrets all wrapped up into a neat little package. There'll be a bit more emphasis on wit and problem-solving than on brute force and skill, though both will still apply. You'll play as Link disguised as Harry (and friends, possibly. I like the idea of seeing the story from different perspectives besides Harry's, such as from Ron or Hermione's point of view), experiencing the story of the Stone in an episodic format. After each chapter of the story is complete, Harry will return to the Gryffindor Common Room (Overworld Map), from which he can choose to play Minigames, explore all of Hogwarts Castle and the grounds in Free Play and discover new secrets, or continue the Story Mode. Throughout the Story Mode and Free Play you will find Famous Witches and Wizards Cards: magical trading cards depicting famous magic users throughout history that are very popular with Hogwarts students. The more Wizard Cards you collect, the more secrets you can unlock around Hogwarts! Title screen work-in-progress. Needs more... content. Dickin' around with the graphics. Diagon Alley: The first step into a magical world. -Tilesets/BGs, and lots of em! Diagon Alley, King's Cross Station, the Hogwarts Express, as well as several locales within Hogwarts itself! -People! It takes a village, ya know? Do I REALLY need to tell you the story of the first Harry Potter book? ...Well, I'll give you the summary from the inside cover, just in case you've honestly never read the books. "Harry Potter has never been the star of a Quidditch team, scoring points while riding a broom far above the ground. He knows no spells, has never helped to hatch a dragon, and has never worn a cloak of invisibility. But all that is about to change when a mysterious letter arrives by owl messenger: a letter with an invitation to an incredible place that Harry--and anyone who reads about him--will find unforgettable. For it's there that he finds not only friends, aerial sports, and magic in everything from classes to meals, but a great destiny that's been waiting for him... if Harry can survive the encounter." HARRY POTTER - The Boy Who Lived. He needs no introduction; his story is legendary. Escaping an attack from the darkest of wizards with nothing but a lightning-bolt scar, Harry Potter grew up under the roof of the least magical family alive. He knew nothing of his heritage or of the wizard school he would soon attend until a half-giant burst through the door and handed him the letter that would change his life. RON WEASLEY - The youngest of the Weasley clan, and the first real friend Harry ever made. Ron is the only one of the Gryffindor Trio who grew up with a family of wizards, and yet is the least capable of the three. He attends Hogwarts unsure of his ability to live up to his successful older brothers, but proves himself as a brave and loyal friend to Harry and Hermione. HERMIONE GRANGER - Hermione was raised by non-magical parents, yet is easily the cleverest and most resourceful witch of her age. If she weren't sorted into Gryffindor House, she could easily pass for a Ravenclaw. DRACO MALFOY - Harry's snotty, self-absorbed, spoiled rich kid of a rival embodies everything Slytherin, and makes it his life's goal to put himself on as high a pedestal as possible. He's almost always flanked by his unequivocally dense goons, Crabbe and Goyle, and without them, he's actually rather cowardly. ALBUS DUMBLEDORE - Headmaster of Hogwarts, considered by many to be the greatest wizard of modern times. He acts as one of many guides along Harry's journey through the years, providing sage advice as well as a touch of humor and whimsy. He enjoys chamber music, lemon drops, and ten-pin bowling. RUBEUS HAGRID - Keeper of Keys and Grounds at Hogwarts. This larger-than-life caretaker first delivered Harry to the Dursleys when his parents were killed and his house destroyed. Fittingly enough, he was also the one who took him away from his awful relatives and started him off on his magical journey. A fierce friend, Hagrid is much gentler than he looks. QUIRINUS QUIRRELL - The Defense Against the Dark Arts teacher was once clever and capable. However, after a run-in with vampires and hags, Quirrell was reduced to a whimpering, stuttering mess, scared of his students and scared of his own subject. Still, an air of mystery lurks about him... why does he wear that big, smelly turban anyway? FLIPENDO - The basic Knockback Jinx that you learn from Mr. Ollivander after you buy your wand. This spell casts a short-range spark from your wand that can be used to activate switches and defeat enemies. PETRIFICUS TOTALUS - One of the more useful spells you will learn at Hogwarts, courtesy of Defense Against the Dark Arts instructor Prof. Quirrell. This jinx places the foe in a Full-Body Bind, unable to move or attack. INCENDIO - The Firemaking Charm. Casts a fireball that floats in a straight line from the point where the spell was cast, stopping only when it hits an enemy or a wall. It can melt ice, burn through ropes, and get rid of certain nasty plants. FAMOUS WITCHES AND WIZARDS CARDS - Find all 100 in the set scattered around Hogwarts and the Grounds in Free Play and Story Mode, or by completing various Minigames. The more you collect, the more secrets will reveal themselves around Hogwarts! BERTIE BOTT'S EVERY FLAVOUR BEANS - They mean every flavour. Collecting 100 of these magical jelly beans will grant you another chance to play before Game Over. A single Bean gives you... a single Bean, a Bag of Beans holds 5, and the legendary Bertie's Box holds 20 Beans. CHOCOLATE FROG - These delectable little cocoa amphibians will restore your stamina when it's low. Keep an eye on those hearts, lest Harry end up in the Hospital Wing! Stay tuned for more! 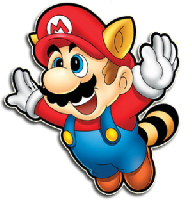 Any sort of help would be appreciated, so step right up if you're interested in bringing Harry's world to Mario X! Last edited by AxelVoss on Wed Nov 11, 2015 11:50 pm, edited 22 times in total. Looks interesting. Ill join the beat test squad and will go rip some graphics as I post this. 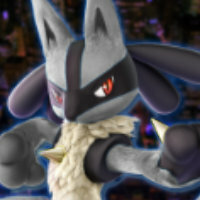 Im not sure if I can level design though, my levels arent to good. Yay! I have had smbx for 2 years! I remember the harry potter series, can I beta test this project? DarkWolf and andreepika, sure thing! 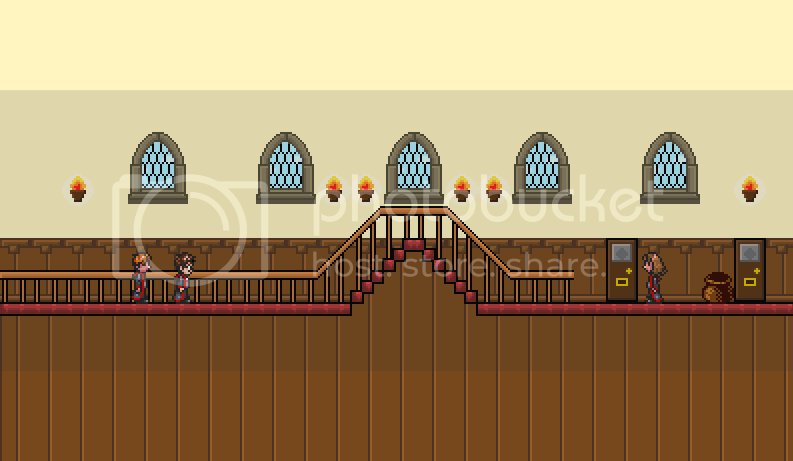 I'm currently working on a demo level right now, based on the second "Chapter" of the game, Diagon Alley. Once I've put it together, I'll send you the files. And DarkWolf, if you could manage to create some Harry Potter tilesets in the vein of the GBC games, that'd be fantastic! Currently, I'm using some Zelda-II style graphics that work very well. But having specifically Potter graphics would be better. AxelVoss wrote: DarkWolf and andreepika, sure thing! 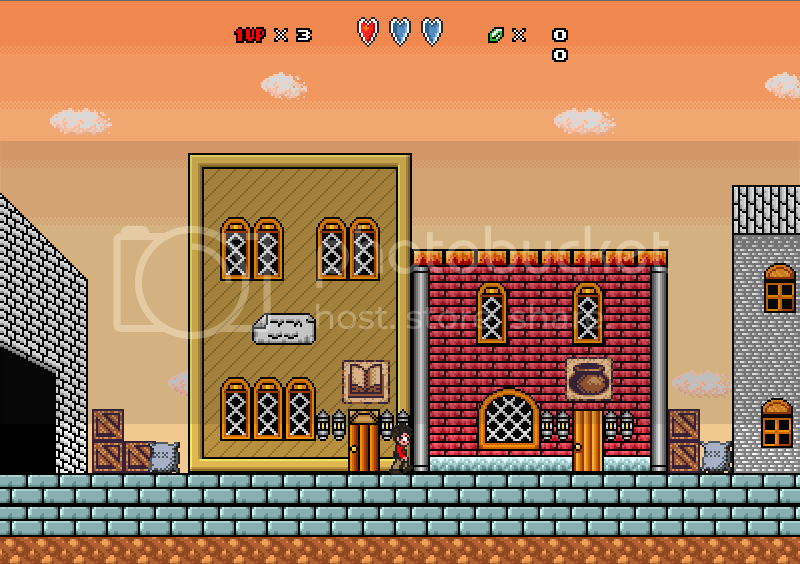 I'm currently working on a demo level right now, based on the second "Chapter" of the game, Diagon Alley. Once I've put it together, I'll send you the files. 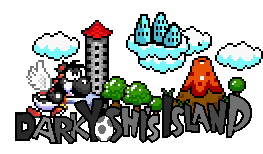 Well in your original graphic pack, you used a test level with the SMW castle tileset. If you pallet-swap it to the hogwarts floor colors, it looks like decent floor (also backwords compatable as a leaky cauldron celler tileset). Ill work on them right now and send it to you later. Will this project be 8-bit? I'd gladly help with making tilesets if you can send me a spritesheet or a few screenshots of the area you want me to make into a tileset. Glad to hear it, Mr. Richard! I'll send you some screenshots of the Hogwarts Entrance Hall from Stone and Chamber for GBC; see what you can do with 'em, alright? Last edited by underFlo on Sun Aug 16, 2015 1:55 am, edited 1 time in total. First of all, please don't double post, use the Edit button instead. But I gotta say, this looks interesting so far! The playables all look good even though they lack shading because they're quite detailed. I think Harry blends in well with the rest. However, I feel like the SMB3 wooden box that's used as a house doesn't look that good, especially because everything else uses the redrawn style. I also feel like a more puzzle-focused gameplay style is really cool, so I'll see if I can fit in some time to make a level or two. I'll hit you up via PM if I have enough time to spare. Spinda wrote: First of all, please don't double post, use the Edit button instead. Ah... I think I should clarify. You play Harry Potter as HARRY POTTER. Nobody else (Currently). 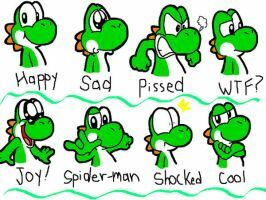 The Characters section is simply to show and describe the important characters to someone who might never have read the books. Nobody else is playable for the moment. I may choose to have the point of view change to different characters in the future, however. I don't have anyone on graphics right now but me, and I'm not very talented with tiles. I'm using the sizable blocks as the buildings, and Flourish and Blott's there is the only one I haven't textured over/found a good texture for. Sorry 'bout that. Oh, alright, I was under the impression that you could also play as Hermine and Ron because their introduction sprites looked a lot like Link playables. I would like to be both a level designer and a beta-tester. But can I find Harry Potter graphics at somewhere or you'll give me? Mr, Suckerman, sure thing. 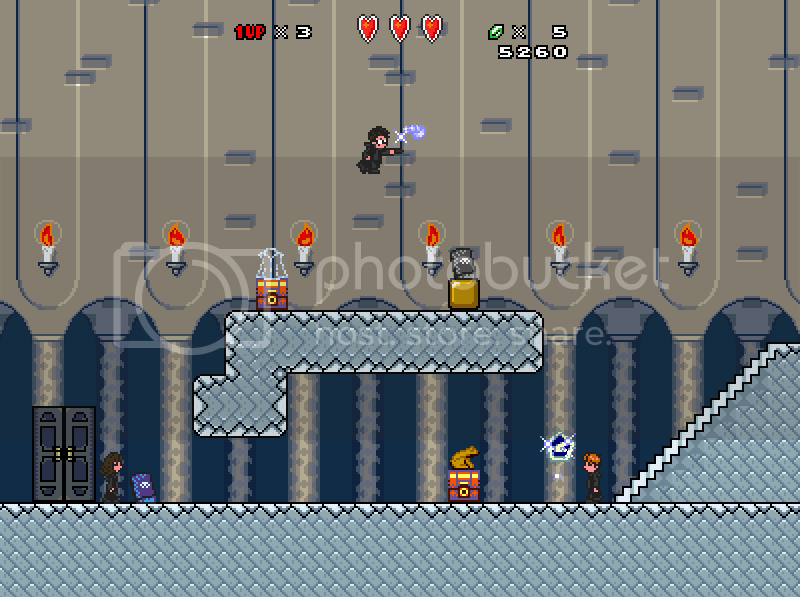 Anybody can be a tester if they ask, but if you want to design a level, I'll need to see a sample of what you can do. i like the harry potter playable ,and the city level design and GFX looks okay IMO. Edit : your support banner is not working and idk why. AxelVoss wrote: Mr, Suckerman, sure thing. Anybody can be a tester if they ask, but if you want to design a level, I'll need to see a sample of what you can do. All right, I'm on it. I'll make a nice level for your project. Harvey36Dice wrote: i like the harry potter playable ,and the city level design and GFX looks okay IMO.